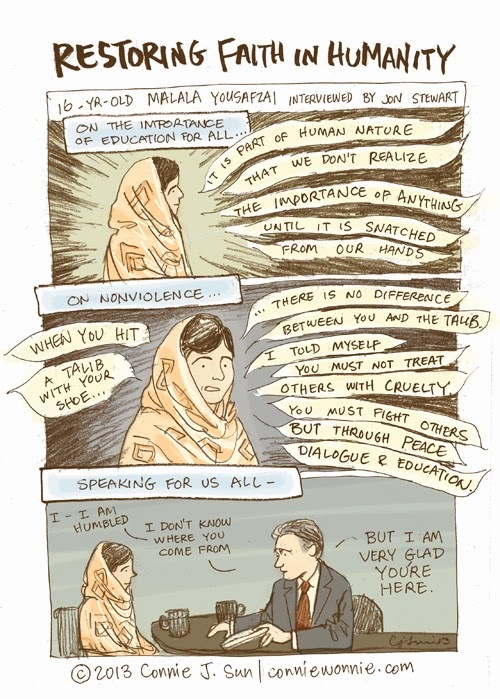 This is less of a comic and more just my hand taking notes as I listened to Malala Yousafzai's interview with Jon Stewart. Basically fan art. Better that you listen for yourself.